Response to RTI application has revealed that despite the lapse of over a year, the government has done nothing about the concerns of Election Commission of India (ECI) about the Finance Act, 2017 which had introduced certain “retrograde” amendments in the Income Tax Act, the Representation of People Act and the Companies Act. The ECI had, on May 26, 2017, written to the Legislative Department of the Ministry of Law and Justice stating that the amendments in the three Acts “will have serious impact on transparency aspect of political finance/funding of political parties”. However, RTI application moved by Commodore L Batra (Retd) has revealed that the departments concerned have taken no follow-up action on ECI’s letter. On July 3, 2017, the Legislative Department wrote to the Department of Economic Affairs (DEA) seeking views of the Ministry of Finance on the EC’s letter while saying that the Commission has made a case for taking corrective measures. The Legislative Department once again wrote to the DEA on August 18, 2017, saying its views on the EC’s letter be expedited. With no response, it once again reminded the DEA of the EC’s letter on June 8, 2018, seeking its views. On Cmde Batra’s RTI application, the DEA replied that an Office Memorandum (OM) dated July 3 sent by the Ministry of Law and Justice was circulated to all concerned divisions in the DEA and no further information is available. The file notings shared with Cmde Batra revealed that in the Department of Economic Affairs, Ministry of Finance, the Office Memorandum sent by the Ministry of Law and Justice on EC’s letter was shared with all concerned divisions in July last year for views/comments. The Budget division conveyed that the matter pertains to the Department of Revenue and therefore, the OM received from Ministry of Law and Justice be forwarded to them for appropriate action. To Cmde Batra’s RTI plea, the budget division of the Ministry of Finance replied on July 4, 2018, that desired information may be available with the Coordination division of DEA or the Revenue department dealing with the matters relating to the Finance Act. It is to be noted that the Financial Sector Legislative Reforms Commission also stated that it agreed with the EC views, but has no specific comments to offer. Cmde Batra said with General Elections just a year away; the government laxity on such a serious issue is shocking. It is to be noted that the EC had in its letter to the Ministry of Law and Justice last year, while referring to part IV of chapter VI of Finance Act, 2017 wherein Section 29C of the Representation of the People Act, 1951 was amended to insert a provision to exempt contributions received by way of electoral bond, stated that this a retrograde step and the proviso needed to be withdrawn. On amendment in Section 13A of the Income Tax Act, it has sought an amendment to reduce anonymous/cash donations. The commission also shared its views that non-reflection of contributions received through electoral bonds in the contribution report submitted by political parties in terms of Section 29B of the RP Act would make it difficult for the commission to identify donations received from impermissible sources. 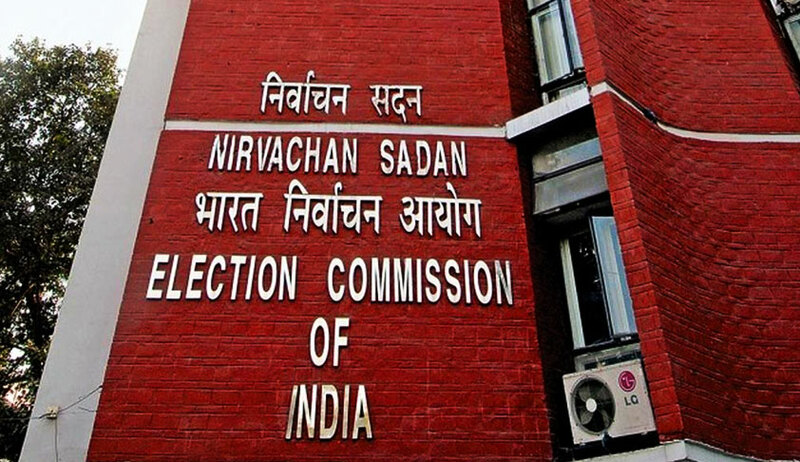 The EC had further stated that removal of the cap on the contribution to political parties as introduced through an amendment to the Companies Act, 2013 would open up the possibility of shell companies being set up for the sole purpose of making donations to political parties with no other business of consequence having disbursable profits. Likewise, the EC also shared that abolition of the stipulation for declaring political contribution in the profit and loss of companies would compromise transparency.